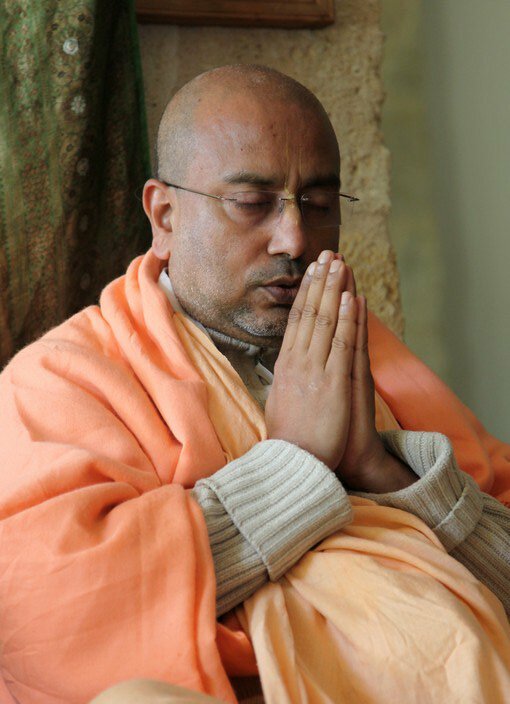 The Sri Gopinath Math's Blog (http://gopinathmath.wordpress.com/) has informed that Srila Bhakti Bibudha Bodhajan Maharaj, the current president and acarya of the Sri Gopinath Gaudiya Math (Founder Acharya: His Divine Grace Srila Bhakti Pramode Puri Goswami Maharaj) - http://www.gopinathmath.com/, continues his ecstatic preaching tour through America. All glories to His Divine Grace Srila Bhakti Siddhanta Saraswati Goswami Thakur Prabhupada and Guru-Parampara (disciplic succession). Please accept the blessing of my beloved Srila Gurudeva, His Divine Grace Srila Bhakti Pramode Puri Goswami Maharaj, and convey the same to all members in your congregation. I have reached in Costa Rica timely and safely. My present cell (PP) phone number is +50686858840 and +50688971259. I will leave this place on 12th morning and start for Miami again.